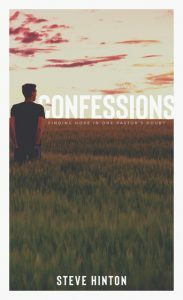 Confessions Update and Opportunity to Participate! 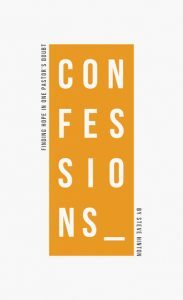 I’m stoked to report that the “Confessions of a Pastor” project is moving quite fast and LUCID Books tells me that it should go public in early December. The manuscript has already gone through the formal editing process and is now in the hands of the proof reading department. Today I received three potential book cover options and I want to give you an opportunity to participate in choosing the final product design. The three comps are below and you can vote on your favorite design. Then tell us why you voted the way you did and feel free to add any suggestions you might have. You can leave a comment here, reply to my email address, or leave a comment on my Face Book page. I want to give another Shout Out to the Kickstarter campaign team who made this project financially viable. To everyone who has prayed for this project or participated in anyway; I just want to say thank you in a HUGE way. I believe that this will be a big encouragement to many people. A BIG Thanks to Sarah Ray and Sammantha Lengl of Lucid for your work on this project. The results are in and the first comp won by a landslide. From everyone who voted in the various forms of communication, comps 2 and 3 tied at second place. A few suggestions to help improve number one were in regard to the font type and we should have the final cover design in a few days. Be sure to follow the updates on the Face Book page. Thanks everyone. Fun to have your input. Definitely #1. He’s got s backpack, so he’s on a journey. But he’s at a precipice, so there’s uncertainty of his next move. Very metaphorical for the pastor’s road less traveled. Good job, Steve! We like number one the best! I agree with Debi, it looks like you are ready to go over the cliff. I like #1. However, I haven’t read the book so I think I lack some important perspective to make the choice. I don’t like #2. #1 gets my vote, too. 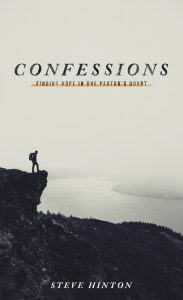 It shows the Pastor on a precipice: a somewhat risky position. He is surveying the varied landscape before him; evaluating possibilities. He has his traveling gear with him; ready to move on when the decision is made. #1 with the title and your name in the font of #3. I like one as it sets the right tone and atmosphere for what the book is about. It also draws my attention such that I would pick it up in a bookstore or click on it online to find out more. The middle one I do not care for as it is too generic my number two pick would be the field. But I definitely pulled to the precipice or overlook in the first cover.